Apologies for the lack of posts these past few days! Never really thought fashion and retail can be this stressful (but immensely fun) 'til I entered my current job. It's been a week since I started and I'm learning so much already. Very challenging and fast-paced - exactly what I want to experience. Love love love it! ♥ Just feeling strange, though, that I no longer own my time; missing out on so many blog events (huhu) so I'm trying to adjust and juggle my priorities. PUSH! More chika about it soon! Let's head on to today's outfit post first. 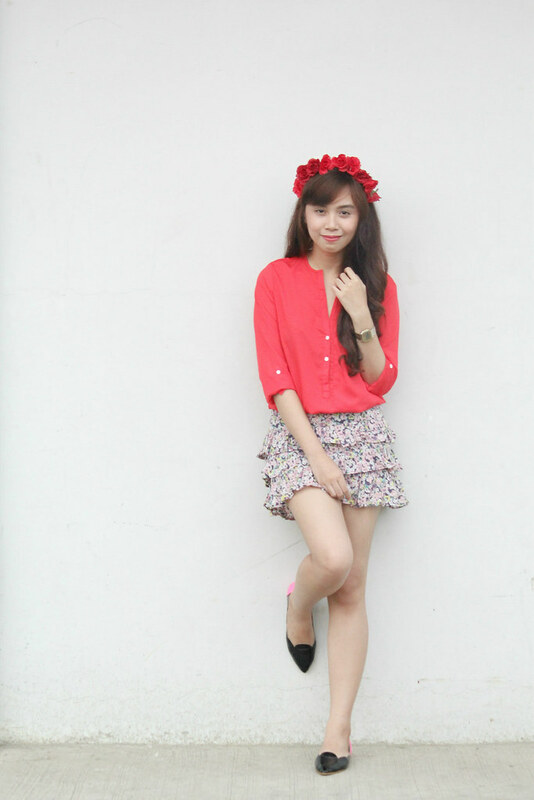 Easy breezy and floral overload ensemble for a lunch date with my friends :) For chill days like this, I'd often use my no-fail buttondown + skirt + flats styling formula. You guys should try it, too! 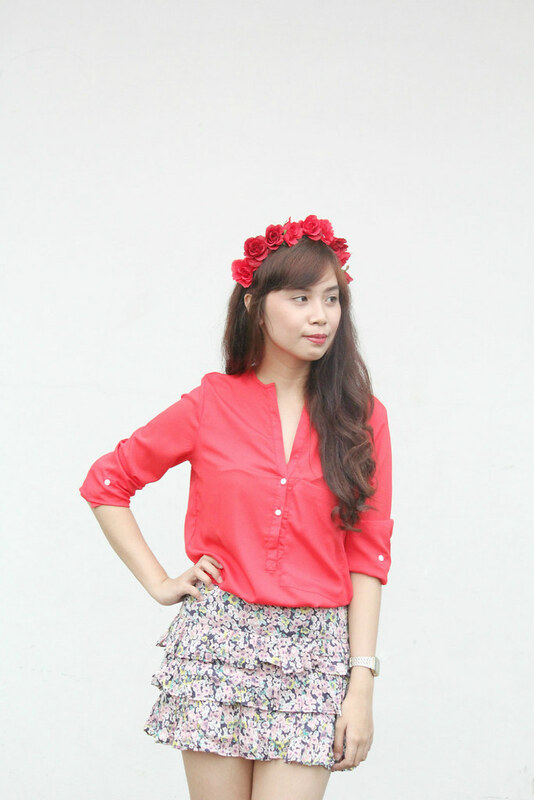 When Persunmall sent me this top, I really smiled from ear to ear 'cause I love buttondowns. Alam niyo na dapat yan! Hahaha! Clothes like this can be styled in many different ways. Winner diba! :) You can buy this top here, by the way. 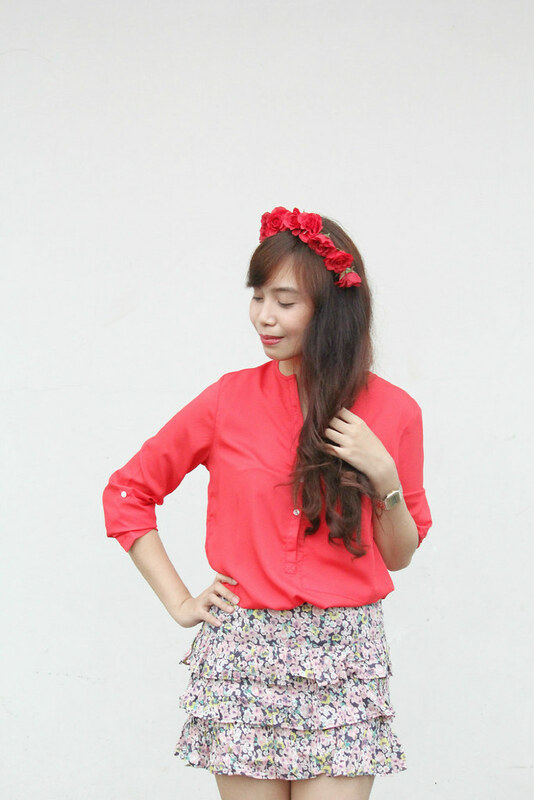 Ruffled skirts remind me so much of my childhood, so I felt like a kid the entire day wearing this. Too cute to resist!